The Trailer opens just as the previous teasers have - the TARDIS console room, which was fine the last time we saw it (despite Twelve having no idea how to fly the damn thing) in The Time of The Doctor, all ablaze. Obviously something is going very wrong, very quickly for our recently regenerated friend. You can't make out much, but there appears to be some cloaked figures making their way down it. Whoever could they be? 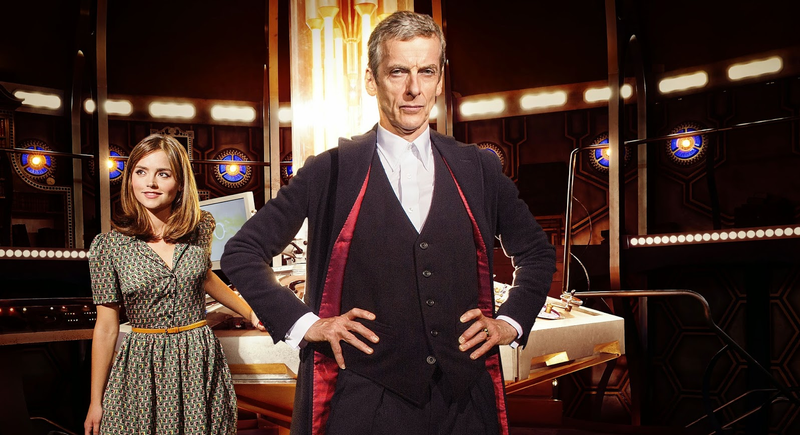 Which Dalek Is Speaking In The New Doctor Who Teaser? The TARDIS console room! And it's all orangey! Gone is the greeny-blue light that powered the Time Rotor since The Snowmen, giving this room a much warmer, darker lighting. Maybe this is what Twelve was talking about when he said that he didn't like the colour, rather than his Kidneys? This console room has also had a slightly homey redesign - although the room itself hasn't changed, The Doctor and Clara had put up a few knick knacks: bookshelves on the upper gantry, an artist's easel by the door (perhaps a subtle acknowledgement of Peter Capaldi's past as an art student?). It's certainly a lot less clinical and machinelike with just these few extra changes. Clara's not sure who The Doctor is any more, but there's one thing we as an audience know for certain now: he's not got a new Sonic Screwdriver! His predecessor's bigger, green-lit screwdriver is seen in hand as The Doctor stares down an empty corridor. Lots of corridor's so far, how very classic-era Who! RETURN OF THE CAPALDI STARE. Seriously, the man knows how to glare at a camera. But for once it's not this new Doctor's glaring skills we're looking at - he's wearing different clothes, a very Victorian-esque get up with that tie and stiff collar, with a black jacket. 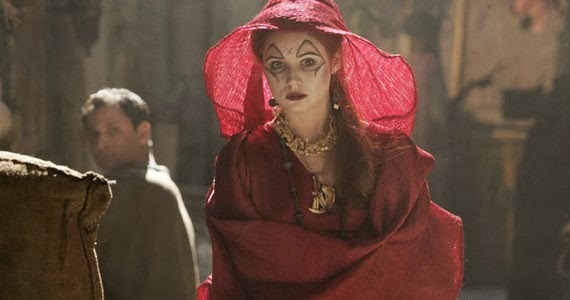 Considering the opening episode is set in Victorian times, perhaps The Doctor borrows this getup from Vastra and Co. during Deep Breath, after switching out of his, err... hobo clothes? Speaking of Deep Breath, it looks like The Doctor's not going to get much of a post-regenerative break in Victorian London. This top-hatted gentleman doesn't appear to be a gentleman at all, but instead a creepy, mechanical robot covered in human skin (ew!!!). And he's got a flamethrower for a hand! 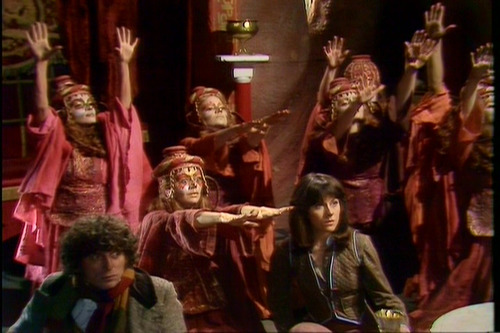 That doesn't seem entirely practical, but I guess it works if you're a guest-monster in Doctor Who. And speaking of Monsters, we get a little glimpse of this thing - a tiny, blue-eyed robotic creature. With those head fins, he almost looks like a robotic Graske (or, if you'll forgive the cross-fandom part of my brain, a robotic Turian from the Mass Effect games! ), but who knows what it is yet. Little fella looks like he's up to no good though. Clara takes a dive from a mahoosive explosion! It's incredibly dark in the trailer, but we can just about make out something stalking over the London skyline (just on the left of the Big Ben clock tower, if you're struggling to see it)... more on just what it could be later. Star Trek XII? Aside from the Into Darkness jokes, you can get another good look at The console room's new Bookshelves in this shot. The Doctor and Clara seem to have taken up quite a bit of between-adventure reading, it seems. BECAUSE THAT'S TOTALLY A T-REX STOMPING AROUND VICTORIAN LONDON. And let's be honest, it looks a lot better than the last time Dinos attacked the Capital in Doctor Who, back in 1974's Invasion of the Dinosaurs. A, uhm... lot better. 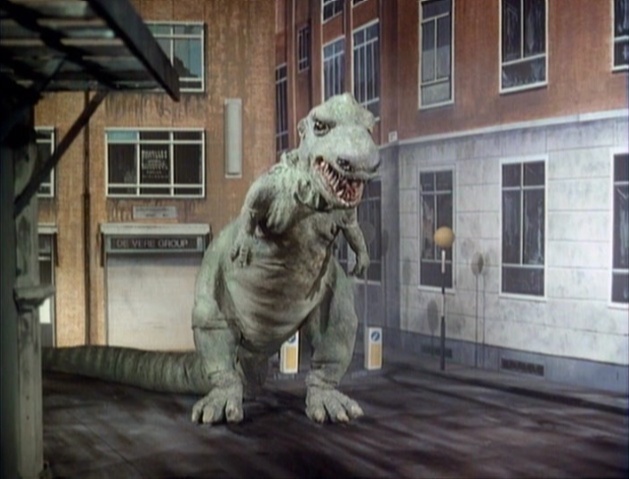 Naturally, the clear evolution of Dinosaurs on a Spaceship is Dinosaurs attacking London! ... The Doctor charges around on horseback! In a nightgown! In what was some of the first on-location shooting for Series 8 earlier this year! ... and there's even more Daleks! They've all got the purply eyestalk, too! Finally though, The Doctor - this time with a jumper under his new crombie coat, for those chillier nights in Time and Space- reiterates his question from the first teaser to Clara: Is he a good man? And in a heart to heart (or should that be heart to hearts?) on the steps of the Console Room, she tells him: she just doesn't know. Oh dear. Will The New Doctor and his companion have a fraught relationship? It won't be long before we find out. 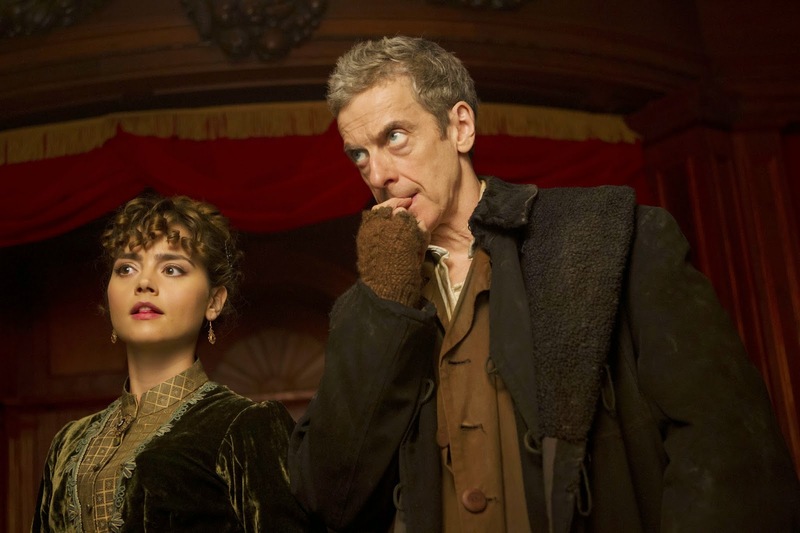 Doctor Who returns August 23rd with the feature-length episode Deep Breath, on BBC One and BBC America.